Combine 1 T salt, 1 T pepper, and 2 tsp. sugar in a small bowl. 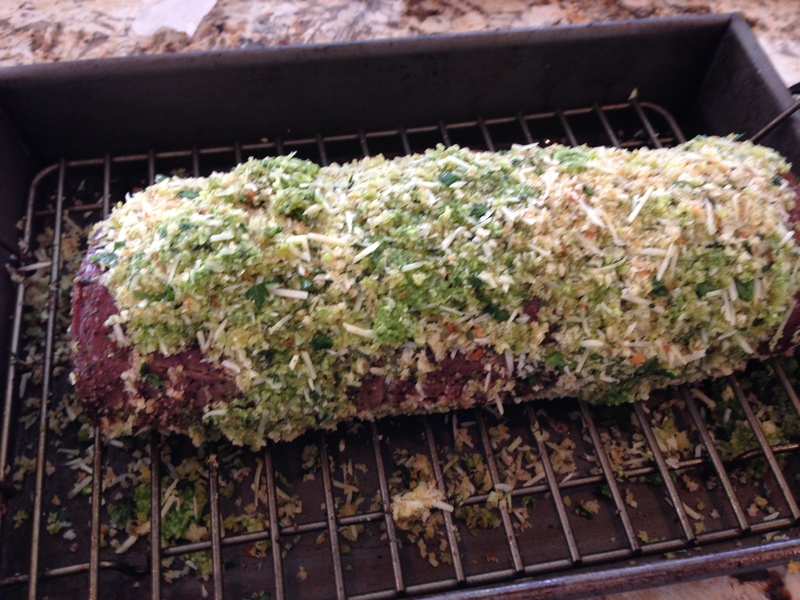 Rub mix all over the prepared beef tenderloin. Transfer tenderloin to wire rack set on rimmed baking sheet and let stand at room temperature for 2 hours. Using a spatula or hands, spread herb paste evenly over the top and sides of the tenderloin. Then press the bread-crumb mixture evenly onto the roast, using the other hand to catch the crumbs and keep them from falling through the rack. Mix all ingredients in bowl. Cover and place in refrigerator until ready to use. 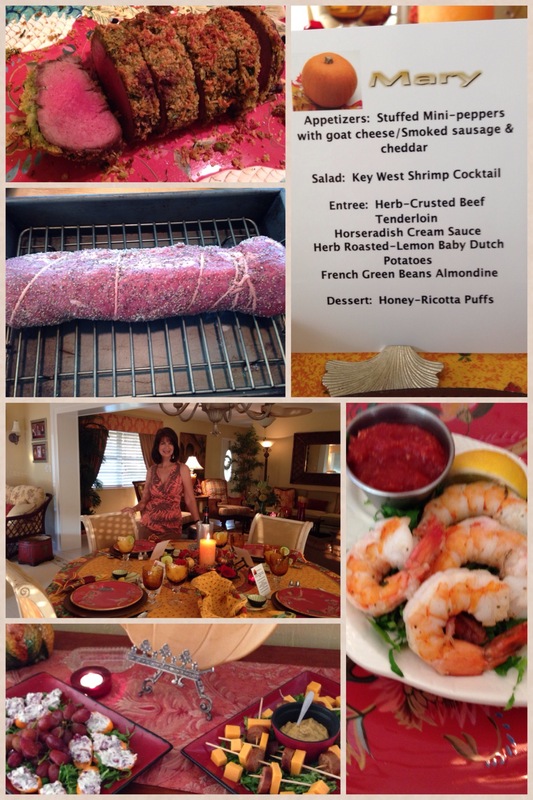 Great menu for a dinner party, a lot can be made ahead and keep warm at 170 degrees in the oven! 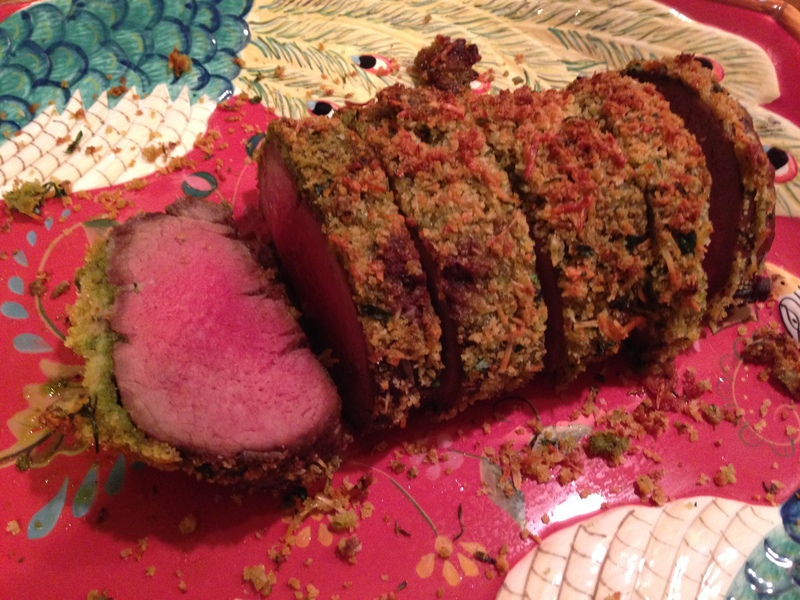 This entry was posted in ENTREES and tagged beef, BEEF tenderloin, chopped parsley, dinner party, entree, herb-crusted beef tenderloin, HERBS, horseradish, horseradish cream sauce, Parmesan cheese. Bookmark the permalink.